This table reveals the pregnancy rates with regards to the primary diagnosis (sometimes there is more than one) for those women undergoing In Vitro Fertilization over a three year time frame. Tubal & Peritoneal: Refers to patients with blocked or absent tubes or those with signifiant pelvic adhesions. Ovulatory Dysfunction: Women who don't ovulate. Endo: Includes women with significant endometriosis. Male Factor: Includes men with severe sperm problems but doesn't include those men with whom we surgically aspirated sperm. TESE,PESA/MESA: These are all codes for men who have their sperm surgically removed. ARA or Decreased Ovarian Reserve: This category is one of our toughest with older women and women who are starting to run out of eggs. PGD: Stands for Preimplantation Genetic Diagnosis, a procedure wherein a single cell of the embryo is examined for genetic disease. Surrogacy: Includes gestational surrogacy only or the procedure wherein the surrogate only provides the uterus and not the egg. OK, now that we got that out of the way, let's examine one column. Let's look at the Tubal & Peritoneal column. Moving down, the average age was 34 and we performed 43 cycles in this category. Five women were canceled early usually because of few follicles growing. Thirty-eight when to retrieval, one was cancelled probably due to poor embryo quality leaving 37 patients going to embryo transfer. A total of 84 embryos were transferred for an average of 2.3 embryos transferred per patient. While 30% did not get pregnant, 70% did. We had four very early losses and no ectopics. The clinical pregnancy rate where the patient had a visible gestation sac was 60% with 39 total sacs in the 21 patients. There was only one later loss leaving the final take-home-baby rate at 57%. Only 24% had one child, an amazing 67% had two and 9% had three. The implantation rate per embryo transferred is a calculation we use to decide how many embryos we should transfer and how many we should freeze. Be sure to go down the column that is most appropriate for your diagnosis. The number of embryos transferred in the PGD and Surrogacy column were low because they were more likely to be normal. Cancellation rates and spontaneous loss rates were highest in the women with the fewest number of eggs. The implantation rate per embryo transferred did vary with regards to diagnosis. When low, we tried to make up for it by transferring more embryos. In spite of the various divisions, the overall take-home-baby rates do not differ that much between groups. Keep in mind that nearly all of our transfers are on day 5 where we have advanced blastocysts and morula embryos available for transfer. If you would like to learn more about the In Vitro Fertilization procedures, please visit our download section. If you would like to review the programs here in Florida and elsewhere, please go to the CDC and download the latest update (click here). http://www.cdc.gov/ReproductiveHealth/Products%26Pubs/PubsART.htm Don't forget to visit your local Board Certified Reproductive Endocrinologist for a personalized information. This somewhat complex sheet of data is well worth the time and effort understanding. Looking at the columns, the far left numbers are simply used for reference. The Parameters Studied are descriptive making sense of the pile of information. The "All" category sums up the entire group of patients. Most importantly, the Maternal Age section divides the patients into the same groups that are used by the CDC. The far right category involves Egg Recipients, those being provided donated eggs. Let's look at just one column, the <35-year-old women. Moving down, you can see that the average age of this group was 30, we started with 120 cycles and had to cancel 15 (usually due to a low number of follicles created) resulting in 105 oocyte retrievals. Eight more cycles were cancelled due to failed fertilization or more often to very poor embryo quality. Forty-two percent of our patients fell into this age category. We transferred 219 embryos total or 2.3 per patient. Thirty-three percent had negative pregnancy test results while 67% (65/97) were positive. Seven very early losses occurred out of the 65 and there were no ectopic pregnancies. Clinical Pregnancies are seen on ultrasound. The total number of implantations were 108 with one spontaneous loss (amazingly low) resulting an a 59% take-home-baby rate. Only 35% of the women had singleton pregnancies, 49% had twins and 16% had triplets. The implantation rate per embryo transferred is a number we all use to decide the optimal number of embryos we should transfer so single embryo transfers would be encouraged in this age group. You can go down the column of your choice the same way to see review the category most important to you. This is a fairly large collection of data over almost a four-year period. As women get older, the take-home baby rates fall. As the women get older, we try to transfer more and more embryos understanding that most will not implant. 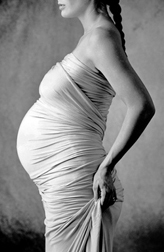 Multiple pregnancy rates are a concern in nearly all the age groups. The implantation rate, a reflection of the quality of the embryo, falls as the women ages. Pregnancy loss rates (biochemical and clinical losses) increase as the women age. The ">42" year old category should probably be ignored since it contains only one patient who conceived twice at 43 and 44 years of age, is an exception to the rule, and truly messes up my chart and graph. I wish all women in this age bracket were as lucky! 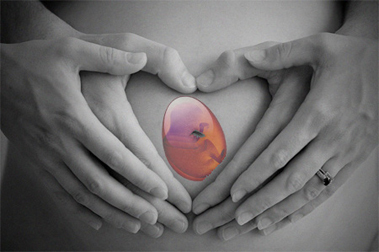 We do nearly all of our transfers on day 5 seeking advanced blastocysts and morula embryos for transfer. If you would like to review the programs here in Florida and elsewhere, please go to the CDC and download the latest update http://www.cdc.gov/ReproductiveHealth/Products%26Pubs/PubsART.htm Don't forget to visit your local Reproductive Endocrinologist for a wealth of information.